Last week I traveled to New York City to attend the National Stationery Show (NSS) and Surtex at the fabulous (and humongous!) Javits Convention Center. The floor is divided in to two different shows. NSS is where retailers go to find new stationery products for their stores and Surtex is the art licensing show where companies go to look for art to put on their products. I've been to the show before because at one point I wanted to exhibit on the stationery side. This year was much different since I've ventured in to surface pattern design over the past year and was interested more in Surtex. I flew in on Sunday night and hit the ground running! As many of you know, I design stationery for Minted so a bunch of the designers met on top of the Archer Hotel at the Spyglass Rooftop Bar. It was awesome! Not only did we have fabulous views of the Empire State Building but meeting and chatting with the other designers is always priceless. It's so fun to meet and catch up with designers who you chat with all year long online! A few of us went to dinner that night at a restaurant in Battery Park overlooking the Statue of Liberty. It was beautiful! On Monday, I headed over to Surtex and walked the floor in the morning. I had a list of people I wanted to visit as well as companies to check out on the NSS side. I was able to get a few photos but not many since it's frowned upon to take pictures on the show floor. It was really great to see how everyone designed their booths and showed their artwork of all kinds. I've been learning a lot about designing trade show booths, how to display your artwork, etc, in the Art and Business of Surface Pattern Design class I've been taking so it was great to see it all first hand. I was able to swing by Minted's booth and design some artwork to put on their wall. The prompt was #CreativityIs so we had to design something with that in mind. Below is my final drawing that I did at their table. I also design stationery for Kleinfeld Paper so was able to meet their creative director that I work with and see 4 of my holiday card designs on one of their booth stands. Exciting! 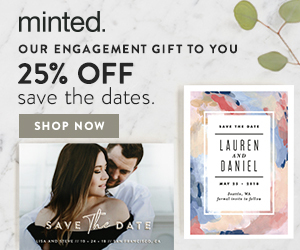 On Monday night, Minted threw a party for their designers and a few members of the press, bloggers, and photographers at a venue overlooking the Hudson River as well as a rooftop deck. They adorned the walls with art from the community and decorated the tables with some of their new fabric. 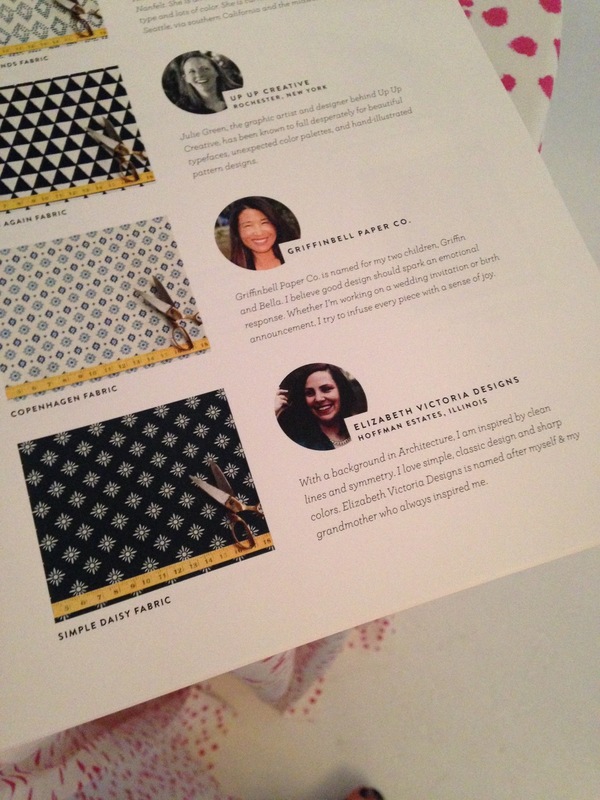 And to my surprise, one of my fabrics was chosen as one of the tablecloths! My name and bio was in the press book at the party, which was a huge honor and so exciting for me! Tuesday was another jam-packed day with a morning of walking Surtex again, browsing the Best New Products and Louie Awards (the Oscars of the stationery world! ), visiting a few more companies I didn't get to on Monday and meeting two of my very talented classmates who were exhibiting at Surtex, Natalie Williamson and Johanna Fritz. It was so fun to put a name with the 'Facebook face'! I also walked the ICFF show, a contemporary furniture show running at the same time as NSS and Surtex. With my background in Interior Architecture, it's always fun for me to walk this show, too, just to see what's new in interiors! The highlight of my Tuesday was taking a seminar from the fabulous Lisa Congdon! I've read her book, Art Inc. and follow her on Instagram and am just a big fan of her work. She is so down to earth and hearing her journey was so inspiring. She took a lot of time to answer individual questions and even stayed to meet us individually after the seminar was over. Overall, (if you couldn't tell!) I had an absolutely AMAZING trip! I made some great connections, was able to meet new friends and catch up with the old ones. Seeing all of the fantastic artwork was so inspiring it makes me want to push myself harder to be ready to exhibit at Surtex next year. So look out New York, here I come!